Marshfield is a city of about 20,000, and the Wildwood Zoo would be impressive for a city much larger. This lovely 60-acre zoo and park features a variety of animals and exhibits, gardens, walking paths, and more. Located right along Central Avenue (former Highway – now Business – 13), the Wildwood Zoo is free and open to the public all year ’round. Part of the Wildwood Zoo. The bridge is for the Kodiak bears, not the visitors. Key exhibits include the Kodiak bears, cougars, fox, wolves, and lynx. 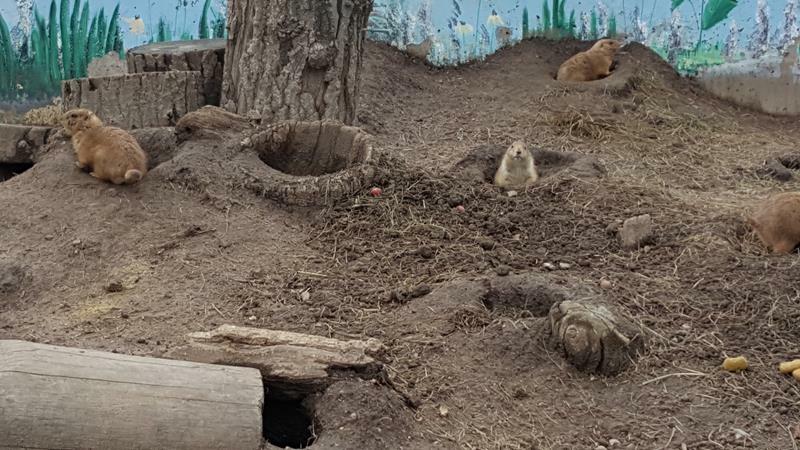 Black-tailed prairie dogs spring out of the holes in their exhibit to peek at spectators while the great horned owls and bald eagles cautiously observe all of the activity. 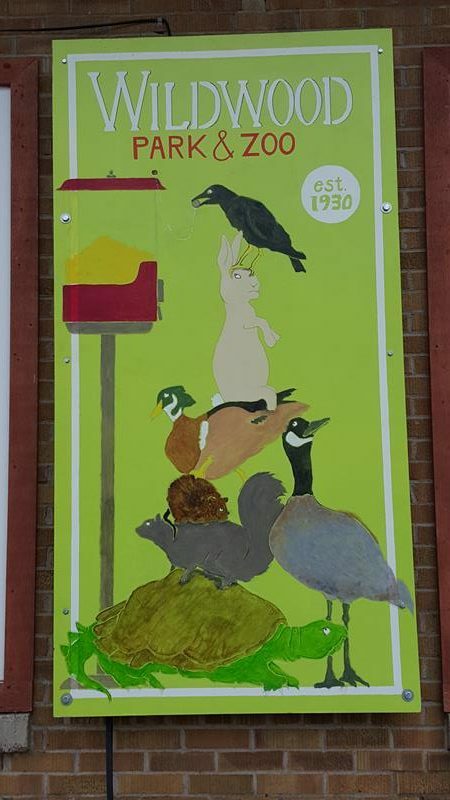 There are also non-zoo animals such as geese, ducks, swans, muskrats, rabbits & squirrels who make themselves at home on the zoo grounds. The large animal exhibits include bison, elk, white-tailed deer, and wild turkeys. These animals can be observed from the large animal drive, as well as by foot. The prairie dogs at Wildwood Zoo do plenty of crawling and running around. One nice break from your road trip at Wildwood Zoo is the Sensory Gardens, featuring a wide variety of flowering and non-flowering plants designed to enhance your senses of sight, sound, smell, and touch amidst a tranquil setting. 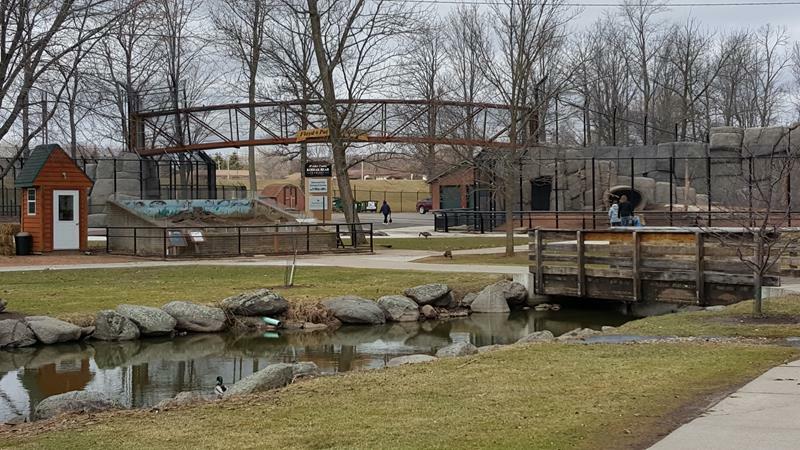 You’ll find the Wildwood Zoo just south of downtown Marshfield, off Central Avenue (Business Highway 13). U.S. 10 and Highway 80 approach from the south, Highway 97 approaches from the north. Highway 13 (the “through-pass”) brings you within one mile via Central. The zoo is closed on Thanksgiving, Christmas Eve, Christmas Day & News Year’s Day.